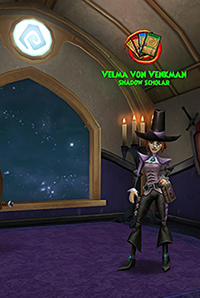 The November 2017 Wizard101 update was launched this morning and it includes Empyrea Part 1, Level 125 increase, new Shadow Magic Spells, Revered Crafting, more Castle Magic spells, Bank Size Increase, New Daily Assignment Quest, Treasure Card Sorting, Realm Locking, and more! Players who have completed the quest "Lost and Found" at the end of Mirage, and have reached level 120, can go speak to Fitzhume in the Arcanum to get the quest "Baba Boohooie." 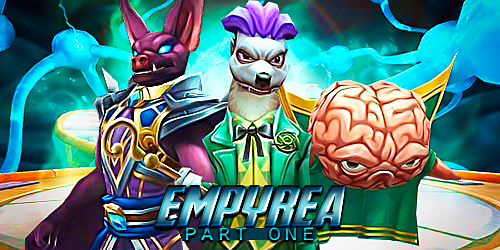 For Crowns players, Empyrea Part 1 contains 3 separate Premium Zones, priced at 1995 Crowns each. Wizards who are level 121+ will now have a maximum gold allowance of 500,000. Velma Von Venkma's chambers are now open! She will offer Wizards a new quest, which occurs as a part of the main quest line. After completing this quest, she will award you with the new Shadow Trickster spell and offer another new Shadow Magic spell for you to train: Donate Shadow Pip! There's an all new rank in Crafting beyond Legendary that will have you scouring the ends of the game to be a Revered Crafter. Librarian Fitzhume will direct you to Ignus to start your new quest. The Revered Crafting quests have new kinds of reagents you'll need to find! Grady also has the new Wysteria Lore Pack spell recipes for sale, or you could just farm The Loremaster to get them. Houses now have an additional 100 Castle Magic slots available to them. In addition, there is now an "Expand Backpack Elixir" available for purchase in the Crown Shop. 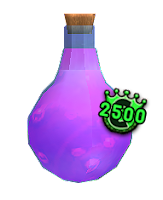 Players can now buy up to two of these elixirs to increase their backpack size by fifty slots with each purchase. Also, everyone's bank space has been increased from 100 to 150! With Empyrea comes a new classification of Daily Quests: Heavyweight. Do you have what it takes to be a new Daily Quest contender? To those ends, Aegon Statz also has a new quest to offer players on the twelfth day of Daily Assignments! Make sure to do your daily quests to continue those important pekron investigations. 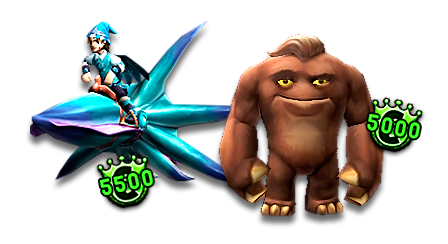 With the addition of Empyrea Part 1, new items have made their way into the Crown Shop: the Cephalopod Racer mount, the Beastling pet and the Dwarven Attire & Crossbow!